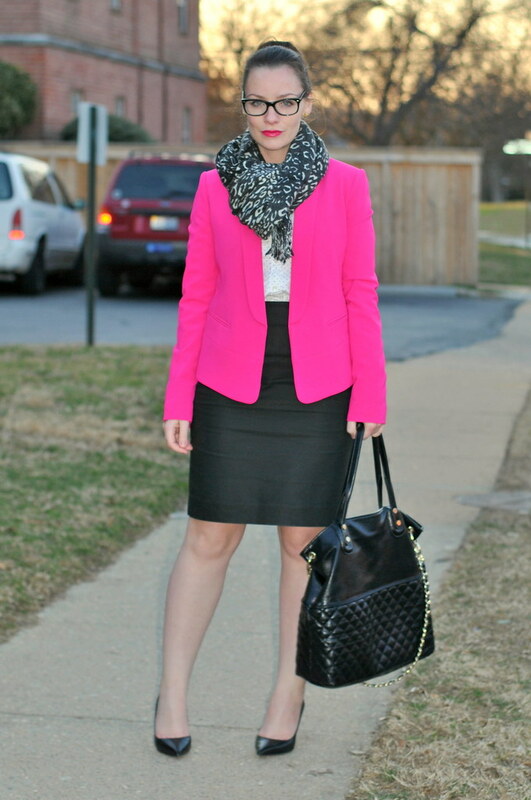 The deets: Express blazer (similar); J.Crew button down (plain version) and skirt; ALDO heels (similar); Steve Madden bag; Bebe scarf; Lancome "Midnight Rose" lipstick. Another walk to work, another layered look to battle the freezing wind. I don't know about you but as cute as this little scarf is, I am so ready to put it away and not see it again until next winter. ENOUGH WITH THE COLDS, MOTHER NATURE. We are headed to a state of collective grumpiness that we may NEVER come back from! Give us those B vitamins! Hot pink blazers obviously worn in effort to will some sun rays this way. 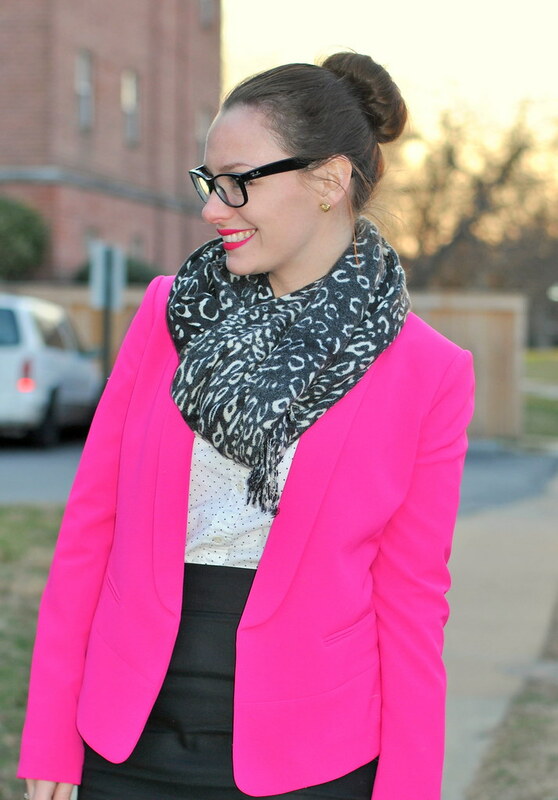 The bold pink looks so pretty on you–what a great way to brighten up office-wear!